In a speech at an industry conference Thursday, P&G Chief Brand Officer Marc Pritchard blasted the digital media industry for lack of transparency, fraud, privacy breaches and a proliferation of violent and harmful content placed next to ads. He said his company, which spends billions of dollars on marketing products from paper towels to shampoo every year, would move its money to services that can guarantee effectiveness, are completely free of offensive content and are more willing to share consumer data with advertisers. Pritchard asked other advertisers to join him in creating a “new media supply chain” for the industry. “Let’s all step up,” he said. Pritchard didn’t mention any companies by name, but this isn’t the first time P&G has criticised internet platforms. The company boycotted YouTube for more than a year in 2017 and 2018 after its ads showed up next to terrorist content. Other consumer-conscious companies like Walt Disney and Kellogg have paused spending on Google’s video site at various times over similar concerns. But the boycotts haven’t hit Google or Facebook’s revenue in a serious way. And though Pritchard said he would look to spend more money on TV, radio and outdoor ads like billboards, it’s unlikely advertisers will ditch online platforms en masse. 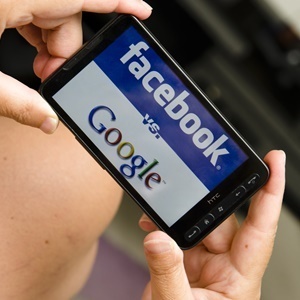 The scale and affordability of Google and Facebook are unrivaled by any other ad form. Spokespeople for Facebook and Google did not immediately return requests for comment. Pritchard also brought up a key point of friction in the industry. He wants the ad platforms to use a standardised way of identifying individual consumers, so that advertisers can track people as they move across the internet and make sure they’re not repeatedly hitting a consumer with the same ad. But as privacy becomes a bigger concern for people and governments, Facebook, Google and others have used it as a reason to make it even more difficult to do that kind of tracking. The added privacy makes it harder for advertisers to send pinpointed messages to people, increasing their costs and annoying consumers who get hit with the same ad over and over again. Google, Facebook and others have been working hard to cut out problematic content before it even gets posted to their systems. They’ve both hired thousands of human moderators and developed advanced artificial intelligence to read a video, text post or image before it goes live to determine its content and block it if necessary. But it’s a difficult task, even for the tech giants. The companies have apologised and promised to do better, sometimes adding that not many people see the content that gets picked up in the media.